Easy to fit rods - Perfect for D.I.Y. Please use our size guide below to find the ideal rod size. For 1/2" (12mm) diameter rod add 4 inches (10cm) to the width of your stair runner. 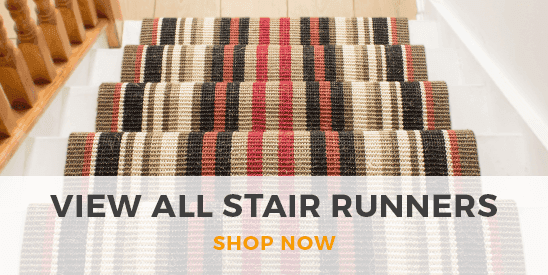 For 5/6" (16mm) diameter rod add 5 inches (12.5cm) to the width of your stair runner. For 3/4" (19mm) diameter rod add 6 inches (15cm) to the width of your stair runner. As an example, a 70cm (2ft 3in approx.) rod would be suitable for up to a 55cm stair runner. 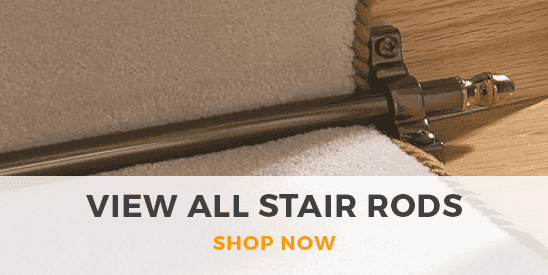 The Premier stair rod range is an solid rod for the perfect finish to your stairs. These stair runner rods are made 12mm, 16mm or 19mm solid steel which makes them unbelievably strong and durable. The rods have an invisible lacquered finish which means that they constantly look pristine, they only need wiping with a cloth and no polish.